Cedar pergola with cedar railing. 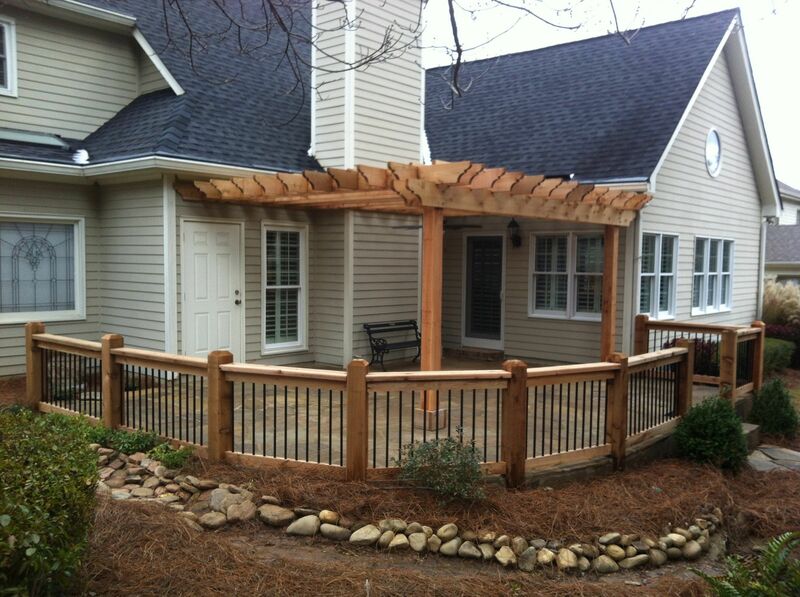 Other Pictures In Cedar pergola with cedar railing. Cedar pergola wrapped around the fireplace chimney with curved cedar railing with metal balusters.